The Macdonald Campus Library is once again offering extended opening hours starting Monday, October 1, 2018. 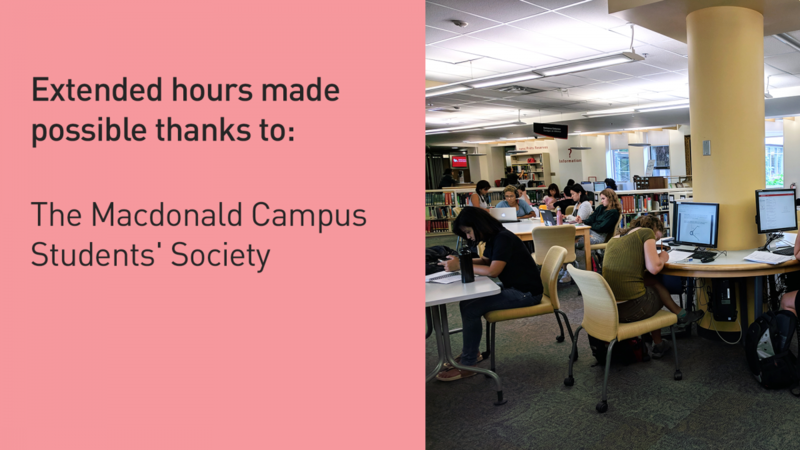 Extended hours for the Macdonald Campus Library are generously supported by the Macdonald Campus Students' Society. Check the branch page for details.